Seriously, that thing looks like a serious accident ready to happen to somebody or something. Agree with your rant. Sometimes I just have to scratch my head and wonder what people are thinking. 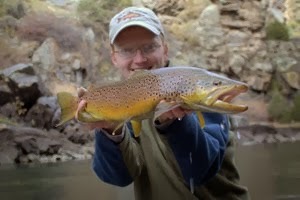 I, am initially, not a fan of articulated streamer patterns. 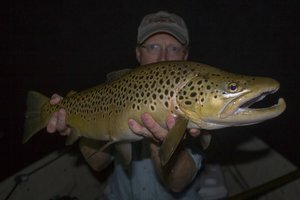 I know I am in the minority, but, that is what's great about fly fishing and the various techniques used. Hope you feel better now that your rant is over. Thanks Mel. 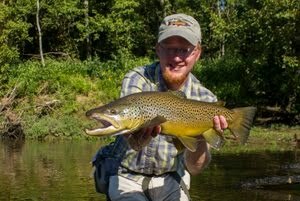 Articulated streamers are fun patterns but can definitely be dangerous. I've knocked myself in the head with streamers on occasion and it hurts without the hook even getting involved! Completely justified rant... and I love the photo evidence. 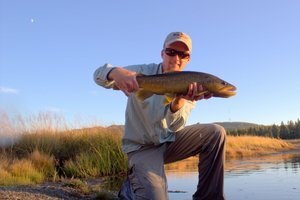 You may want to edit the second sentence: "Fly fishermen have long had a reputation for looking down on 'lower' forms of FLY fishing." 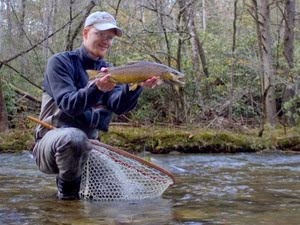 I got a little confused about which forms of fly fishing might be lower until I read a bit further... so I think you meant to just say "lower forms of fishing." Thanks Jay! I'll start sending my posts to you to proofread before publishing... :P Seriously though I think it is fixed now. Thanks again! What can you say? We've all been around enough to see a lot of evidence of abuse. I once saw some fishermen catching fish after fish and throwing them into some brush. I lost count of how many, but several limits. As I was leaving I spotted a ranger and suggested he take a look behind the bush. Two tickets and confiscation of rods and reels. Happy ending. Great work Howard! I always wish we had more enforcement officers around and make sure to thank the ones I do run into for being out there.